HC Garment Dyeing Machine from China Manufacturer - Wuxi Weifeng Dyeing & Finishing Machinery Co.,Ltd. It suitable for dyeing seamless underwear, knitted sweaters, acrylic shirts, nylon stocks, scarf, gloves, and the mixed yarn textiles etc. ·Temperature rising rate: about 5℃/minute. ·Temperature cooling rate: about 2℃/minute. 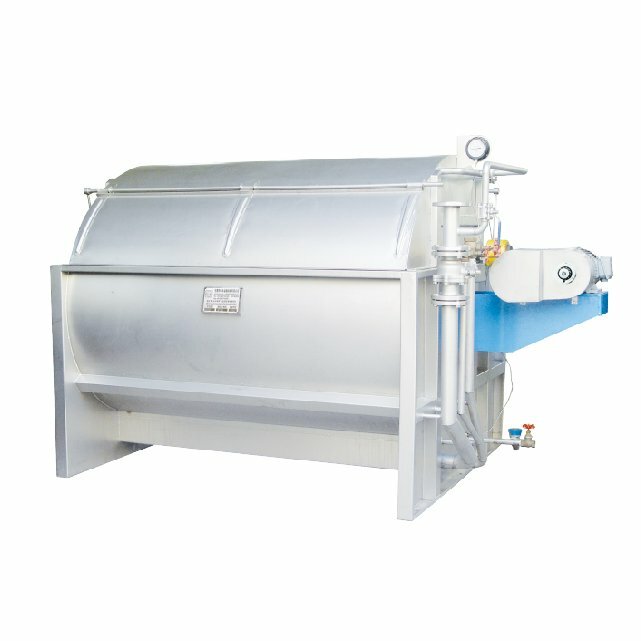 ● The machine body which bring into contact with dye liquor is made of high quality anti-corrosion stainless steel. ● Packing blade equips step-less shift device. ● It has the directing and indirect healing function, and direct spray cooling function. ● Special designed water temperature detector. ● Full automatic or semi-automatic PC control system. ● Feeding pump charging for paint barrel. ● Full auto control of paint barrel.